The easy answer: YES. All antennas are affected by weather in some way. Rain and snow scatter radio signals at least a little bit, and even swirling winds can affect some signals by blowing obstructions between your antenna and the broadcast tower. This happens whether the antenna is inside or outside. But… outdoor antennas are more affected by weather. Wet weather can cause connectors to corrode, high winds can make antennas move, and snow and ice that forms on an antenna can make it less effective. Even sunlight can cause plastic parts to disintegrate. 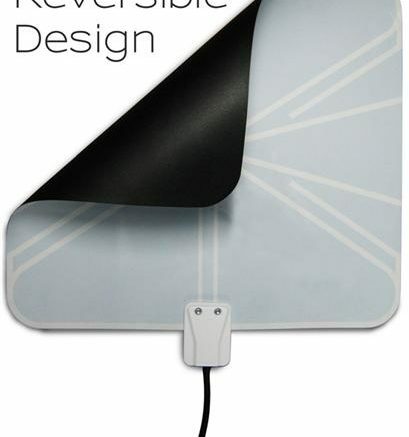 If you’re close enough that you can effectively use an indoor antenna, it’s going to be a more reliable bet for you. Also, indoor antennas don’t rely on long lines inside your walls that can be attacked by vermin or suffer from moisture damage. What can you do if you live in a cinder block house?